The motto “always be prepared” is a good one to keep in mind, but one might not understand the importance of that until immersed in a situation that one hasn’t prepared properly for at all. With climate change wreaking havoc on the planet, superstorms, floods, tornadoes, and droughts are becoming more frequent, and it’s not uncommon for people to be without power for a few days. Although some people might feel a bit paranoid or weird about keeping a supply of certain items in the house “just in case”, it’s always better to have them and not need them, than vice-versa. Read on to learn about the supplies that everyone should keep on hand if the power goes out for a few days. My own epiphany in this regard came after my first winter spent in rural Quebec: when a January blizzard can knock out power for a week, and everything from the water pump to the heating system runs on electricity, and the one grocery store in town is closed because it’ll take a while to clear the six feet of snow that’s fallen, it’s of vital importance to have certain essential supplies stocked at home, and within easy reach. Most people who have a penchant for preparedness will recommend having either a large backpack or bucket of supplies for each family member; I’d recommend going the bucket route (a 5-gallon bucket is just about the right size, though you can go larger than that), as they’re waterproof and stackable. Backpacks can easily get soaked through if you’re dealing with flooding or massive snowfall, but those large plastic buckets are handy things, and can be used in multiple ways. The main reason why it’s important to have all of these things on hand in advance is in case you either can’t get to your regular supplies, or you need to evacuate your home. 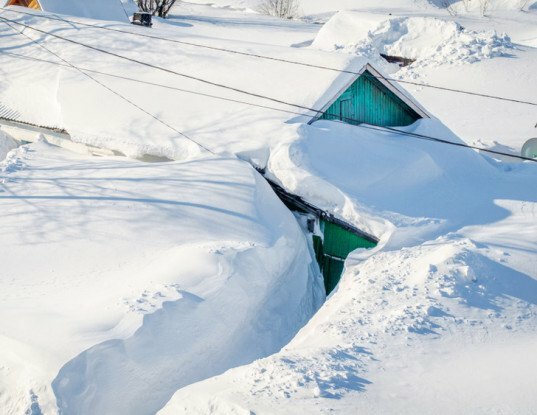 In certain areas, being without power = being without heat, and in the middle of February, that can be a serious issue. Hunting for much-needed items in the dark makes an unpleasant situation even worse, so having them all together in one place is incredibly handy, as you can just grab your pack and head over to a friend’s place or other shelter, and you’ll have everything you need right at your fingertips. The food you should pack for a potential 3 days without of power should be as nutrient-dense and easy to eat (or prepare) as possible. If you’ve gone backpack camping, the foods you brought with you for deep woods sustenance are ideal. Remember to pack foods that you’d actually want to eat, rather than just because they’re convenient. Yes, you’re aiming for maximum nutrition, but your time without power will be even more miserable if you’re stuck eating food that you hate. 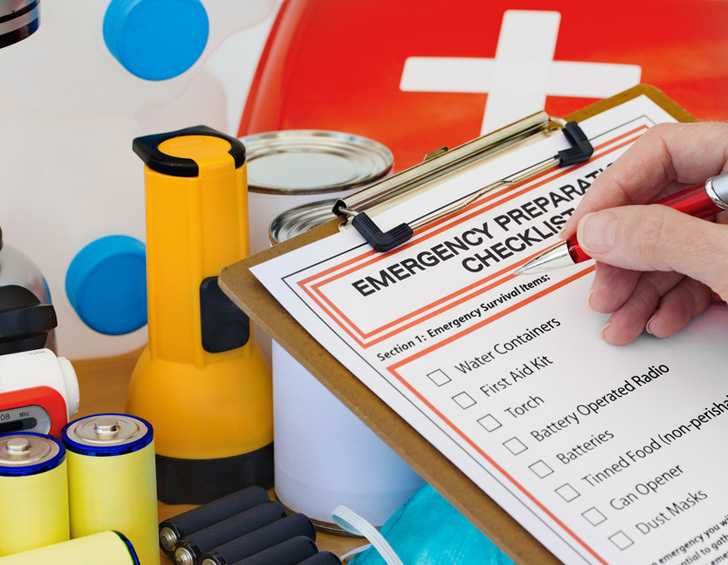 If you’re more likely to have your power knocked out by a snowstorm or heavy winds than flooding or tornadoes, you can just pack a couple of snacks in your kit, and just ensure that your cupboards or pantry are well stocked with shelf-stable items that are really easy to prepare. You don’t have to go out of your way to do this, either: every time you do your regular grocery shopping, just pick up 2 or 3 extra items, then put them in your cupboard as backup reserves. Granola bars – Pack 5 or 6 of these, in assorted flavors. Trail mix with plenty of nuts, seeds, and dried fruit. Jerky – Vegan or regular, depending on your diet. Packet foods – Oatmeal, cream of wheat (if you’re not gluten-sensitive), soups, noodles, drinks. Freeze-dried camping foods – You just need to add hot water to these, or cook them for a minute or two over a camping stove, wood stove, or DIY log stove. You can find these to suit any dietary preference, so make sure that everyone in your household has a few items that they can eat (and enjoy). Vegan, vegetarian, paleo, gluten-free, nut-free, lactose-free… there are countless different varieties, and they’re all shelf-stable for a long time. In a pinch, instant side dishes can work just fine. Pet food! Remember to pack enough food and water for your furry or feathered friends. *Note: Although it’s important to stick to the staples, be sure to pack a couple of comfort food items as well. If you’re in an unpleasant headspace because fierce weather is raging all around you, a cup of instant hot cocoa or a packet of your favorite ramen noodles might help to lift your spirits exponentially. It’s also important to rotate your supplies every six months or so: check to ensure that foods and medications haven’t expired, replace those that are nearing their “best before” date, and check to make sure that the clothes you packed still fit. The latter is especially important for children, since they can have such sudden and significant growth spurts. It’s super-important to stay hydrated in a bad situation. We tend to sweat when we’re panicked or otherwise out of sorts, so be sure to keep your liquids up. Water – Keep a few 2-liter bottles in your pack. Gatorade – A bottle or two can help to stabilize electrolytes, and are good to have on hand in case of stomach upset. Instant Drinks – Packets of hot chocolate, apple cider, Emergen-C powder; whatever you feel is vital to help you feel better during a crisis situation. 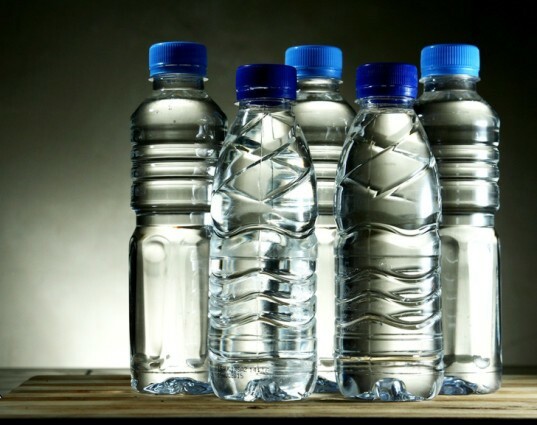 Water supplies can easily get contaminated in an emergency situation, so it’s good to keep potable water at hand just in case. You know those big 5-gallon water drums that are usually used in water coolers? Pick one up, along with a pump that fits onto the nozzle, and keep it in your basement or at the back of your closet. Alternately, if there’s a source of fairly clean water in your area (like a freshwater river or lake), keep a water purification pump or system on hand. In the wintertime, remember that you can melt snow for a water source… but it’s best to boil it before drinking. Utility knife, such as a Leatherman or Swiss Army Knife – These are absolutely vital, as they contain almost every tool you might need in an emergency. Candles and strike-anywhere matches (estimate 15 candles for a 3-day supply). Whistle – Can be heard over the worst storm. Roll of duct tape – Will come in handy in ways you couldn’t even imagine. A couple of garbage bags – These can be used to store things, to seal up a broken window, etc. Flashlight + batteries – Handy for when you’re outside in the dark, as any gust of wind would blow out your candles. Can opener – You don’t want to go hungry because you forgot to pack this! Camping cooking pot that can double as a bowl. Travel mug – An insulated camping mug is ideal, as it can hold anything from water to stew or cereal. Camping cutlery set – Aluminum or plastic, whichever you prefer. Anything that you need to stay comfortable and healthy falls under this umbrella. 3 pairs of warm, clean socks – Pack them in a zippered plastic bag to make sure they stay that way. 3 pairs of underwear – As with your socks, keep them sealed. A full change of clothes, including a warm sweater – Keep in plastic if possible to fend off moths or mildew. This is most important for areas that are prone to floods, hurricanes, and tornadoes, as damage to your home may result in your regular wardrobe getting soaked or scattered across the neighborhood. In flood-prone areas, be sure to pack a bucket instead of a bag, and store all your supplies as high as possible; in tornado- and hurricane-prone areas, store your stuff in the basement, or wherever you go to take shelter. Personal hygiene kit, with a pack of tissues, travel shampoo, a bar of soap (in a plastic container), travel-size toothbrush and toothpaste, a roll of toilet paper (in a plastic bag! ), wash cloth, hand cream, contact lens solution (if needed), dental floss. For women: a 3-day supply of tampons/pads. If you have babies or toddlers, pack diapers and plenty of clean underwear/onesies. Gloves – Those stretchy mini gloves are perfect. Reflective insulating blanket – You can find this at most hardware stores. Laminated or otherwise waterproof list of emergency numbers, kept with about 20 dollars cash, and some change. It’s also important to plan ahead and think about how you’re going to stay warm and comfortable if the power goes out and it’s 20 degrees outside. Do you have a wood-burning stove or fireplace? If you do, be sure to have plenty of dry kindling and wood on hand at all times. If not, do you have a lot of blankets and cold-weather clothes on hand? If you’re in an apartment and don’t have anywhere to build a fire, consider getting a propane heater, backup generator, or even an oil- or battery-powered space heater. A heavy curtain or space blanket can also be used to block off a room so everyone can pile in there to keep warm around the heater, instead of needing to warm up an entire home. 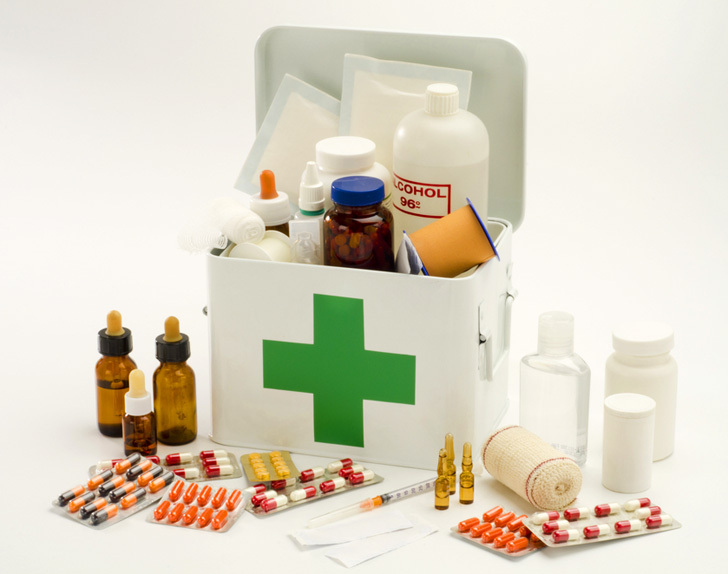 If you have pets, be sure to pack first aid supplies for them as well. In addition to the individual buckets/bags, you can have a large plastic drum that contains supplies you can all share, such as a camping stove + fuel, a couple of tarps, some rope, extra garbage bags, and some extra food. I like to keep a couple of heavy sleeping bags on hand as well, and a spare fire extinguisher too. If you have pets, make sure that in addition to food, water, and first aid supplies for them, you have a safe place for them to sleep, like travel cages for rodents or birds, carriers for cats and small dogs, or portable beds. Related: Homesteaders VS Preppers – What’s the Difference? This might not seem like a “vital” supply to keep on hand, but you’d be surprised at how having something—anything—to do during a blackout can help to keep emotions calm. We’re so used to constant distraction and sensory input that 3 days without a computer, phone, iPad, TV, or sufficient light to read by can leave folks extremely anxious and jittery. You don’t want to spend all your time pacing back and forth in the dark. Items that can occupy your time (and your hands!) can be of immense help in a crisis situation. Consider a deck of playing cards, as well as a fun game like Fluxx or Munchkin. If you’re a reader, seal a book you haven’t read yet into a zippered plastic bag and toss that into your kit along with some extra batteries for your flashlight. Does knitting calm you and help you focus? Pack a simple-but-engaging pattern into a plastic bag with enough yarn to complete it, and the needles necessary to make it. If you have kids, pack a couple of coloring books and some crayons, as well as a simple craft kit and a game. If you like to play music, then by all means, keep your guitar, ukelele, etc. close to your pack. Just keep in mind that in a crisis, those you’re stuck with may not be as eager to hear your bagpipes or recorder as you may be to play them. Be courteous. When and if a situation like this arises, try to stay calm and present. Other than reporting the power outage and waiting for it to come back on, there’s not a lot you can do to ameliorate the situation. Try to make the best of it and use it as an opportunity for a bit of R&R. Curl up by the fire with that book you packed, talk to other people whose power has gone out; maybe share a meal with them. Sure, there’s often a fair bit of anxiety that can flare up in times like these, but you’ll be well prepared to handle things for a few days because you prepped ahead of time, right? What special things would you like to pack in your kit that we haven’t mentioned here? Let us know! Complete environmental darkness for 72 hours precipitates crime and it is a wise idea to be prepared in self-defense of yourself and your entire family members. A 4-inch barrelled 22LR ten-shot SmithWesson/Taurus revolver along with a brick packet of 500 rounds as personal insurance against unwanted violence . This is more real each day with our crazy climate. It would helpful if you guys did an article as to where one can these items. You made no mention of a transistor radio with batteries I know it's old school but it keeps you connected and doesn't need to be recharged. Also maybe a couple of crossword or word search puzzle books for the entertainment part. 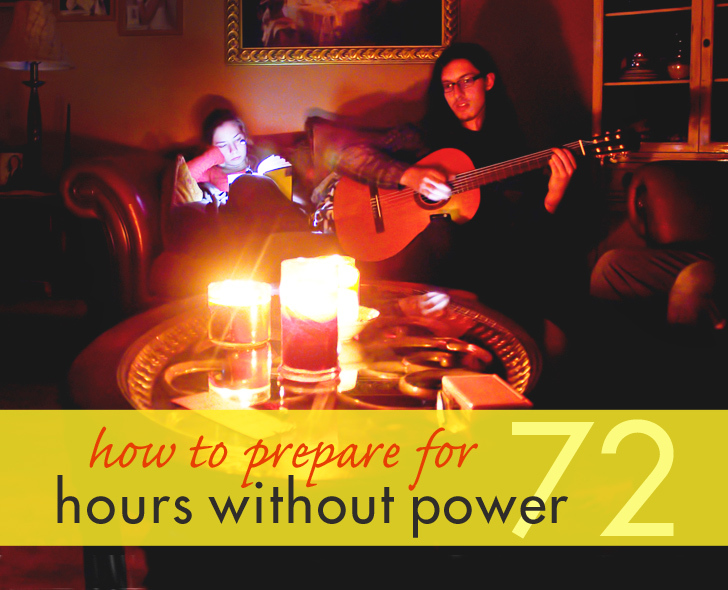 Although power failures can be irritating to contend with, they're a lot more tolerable if you've planned (and packed) ahead for just such a situation. Extreme weather can knock out power for several days, so it's important to have essential supplies on hand. 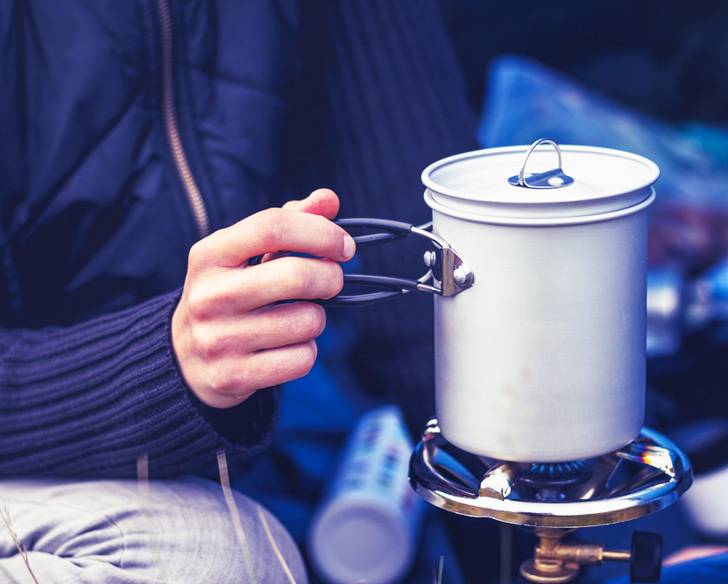 A camping stove and cooking pots that can double as bowls/pots are vital emergency supplies. We don't generally like water bottles, but it's important to have a few on hand in case of an emergency. Just remember to recycle them properly after they've been used! 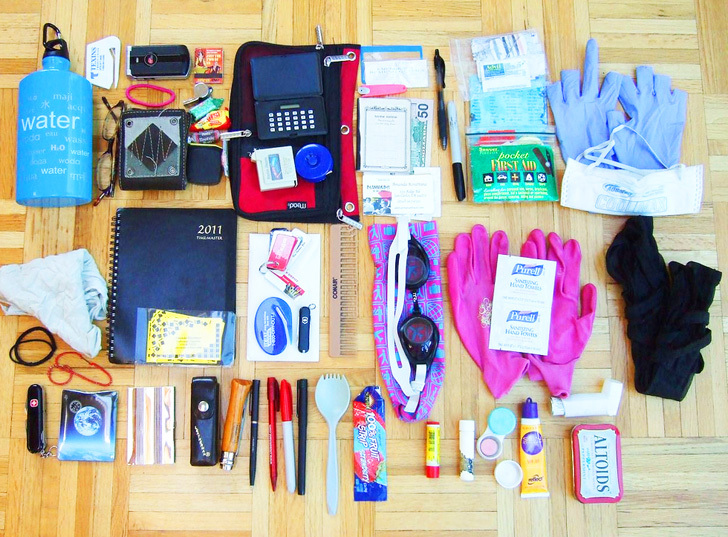 Write down a list of everything you need to pack, and then check them off as they go into your bag or container. Murphy's Law dictates that accidents will happen at the worst possible time. Keep first aid supplies handy so you don't have to fumble in the dark for things like alcohol swabs or ibuprofen if they're needed during the blackout. 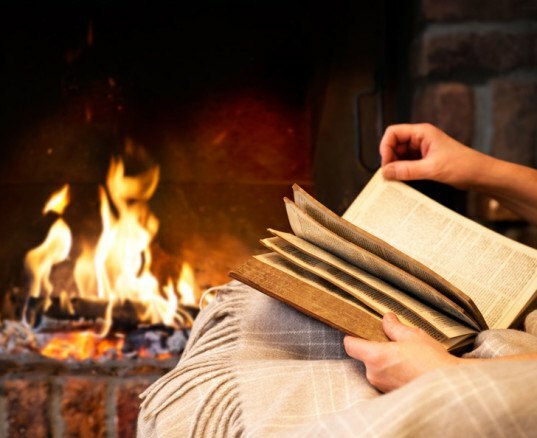 If the power is out for a couple of days and there's really nothing you can do about it, take the opportunity to relax and indulge in a good book. The power will be back soon.